UN Women Tanzania is implementing its Country Strategic Note (2017-2021), under which one of the priority areas of focus is Women’s Economic Empowerment, with the goal that women have income security, engage in decent work and have economic autonomy. The normative work of UN Women in this area is guided by the agreed conclusions of CSW 61, and the recommendations of the Secretary-General’s High-Level Panel on Women’s Economic Empowerment. This work is also guided by the Tanzania Development Vision 2030, the Zanzibar Vision 2020, the Five-Year Development II, the Mkuza Successor Strategy for Zanzibar, the Gender Policy, the Agricultural Sector Development Plan II, SME Policy, Land Policy, Financial Inclusion Policy, National Economic Empowerment Policy, the Beijing Platform of Action (BPfA), the Convention for the Elimination of all Forms of Discrimination against Women (CEDAW), the Sustainable Development Goals (SDGs), African Union Agenda 2063 and other international, regional and national frameworks. 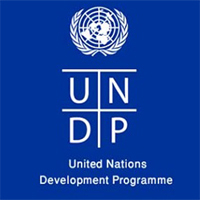 UN Women’s work on economic empowerment for women is also aligned to the United Nations Development Assistance Plan (2016 -2021), more specifically the thematic results areas on Inclusive Growth and Resilience. Reporting to Deputy Representative, the Programme Specialist exercises overall responsibility for planning, implementing, and managing UN Women interventions under his/her portfolio. She/he works in close collaboration with the programme and operations team, UN Women HQ staff, Government officials, multi and bi-lateral donors and civil society ensuring successful UN Women programme implementation under portfolio. Draft inputs to country strategy documents, briefs, policy dialogue and other documents related to Women’s Economic Empowerment. Develop knowledge management strategies, products and methodologies on Women’s Economic Empowerment.